Dropshipping has gained popularity in recent years; that said, there’s a lot of people who don’t know what dropshipping entails or what it means, exactly. 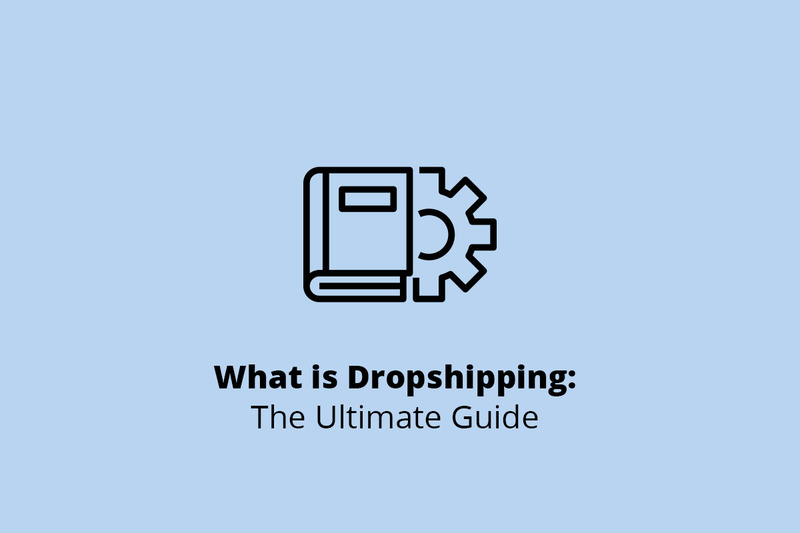 That’s why we’ve created this guide, which will allow you to determine whether you should be starting your own dropshipping business this year. Dropshipping is a business model where the retailer or business owner doesn’t keep products in stock. Instead, he or she partners with a manufacturer or dropship supplier who ships orders directly to the retailer’s client. Dropshipping is started when a client makes an order. You, the dropshipper, will then send the information to the supplier. The supplier will take the information you send them and have the desired product shipped to the client directly from its warehouse. The main way to make money through dropshipping is with a commission. That’s because dropshipping business owners don’t have an inventory; instead, they recommend suppliers or retailers to clients. To help you get a better understanding of whether dropshipping is right for you, here are some of the dropshipping cons and pros you might find in dropshipping. When you use drop shipping, you have fewer chances of losing revenue because you don’t have extra inventory. Who Can Use Dropshipping and Succeed? Pretty much anyone can use dropshipping. Still, here’s a small list of the various kinds of entrepreneurs who may want to start a dropshipping business. Beginners: If you’re new to the business world, you may not have a complete grasp on how everything works. Because of this, you may want to turn toward dropshipping for its simplicity and its low-cost. On a budget: Now we can move onto budget entrepreneurs. Other kinds of businesses can require a large startup cost. All you truly need with dropshipping is a domain name and host for the store. eCommerce Business Owners: eCommerce business owners are some of the most qualified to run a dropshipping business. That’s because they likely know their target audience and the tools at their disposal to increase leads and conversions. Dropshipping works efficiently because the dropshipping company does not need to have any inventory. How to Start a Dropship Business: Can You Dropship Products Easily? If everything you’ve read so far sounds good, you may now be wondering how to start your own dropship business without tons of work and procedures. The first thing to do is look at the market you’re interested in delving into. You need to know which niche you’ll be working in and which platform you’ll build your business on. 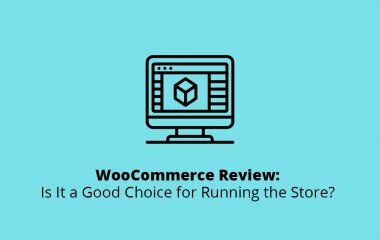 WooCommerce, Shopify, and Magento are all solid options for anyone who wants to start a business. 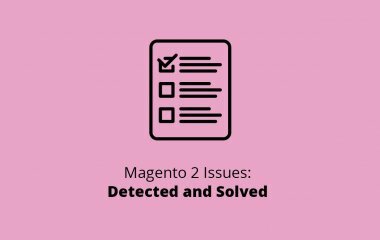 Magento® provides a large number of extensions so that every site is unique and customizable. Woocommerce is a free plugin that you can install with WordPress. Shopify is a good alternative for anyone who is looking to scale their business. You need to choose your products carefully if you want to have a successful business. If you have specific dropshipping niches in mind, you may want to look at different products that will sell within the chosen niche. Finding the right people to supply your business with products is a must. Since you’re the one taking orders, you want to make sure that your company is reliable. Part of this reliability comes from your suppliers. If you’re looking for suppliers, you might be finding suppliers for dropshipping in other countries. Dropshipping suppliers USA, for example, often decide to find suppliers in China. If you choose to, you can turn toward Amazon for your dropshipping business. If you want to use Amazon, though, you’ll want to be aware of the following two conditions: you can’t use the name of another supplier for any packaging slips you send to clients and you can’t buy products from a supplier just to have them sent to a customer. You can use Aliexpress for any number of items. There are some dropshippers who prefer to specialize in home care, while others work with jewelry more than anything. The great thing about Aliexpress is that it has a large following and you can buy products from suppliers to sell them for the amount you want. Usually, delivery takes significantly longer than other platforms; however, the prices are hard to beat. The slogan for Alibaba is “Global trade starts here”. This site works like a middleman, which will make a connection between buyers and suppliers so that everyone has the best experience possible. You’ll often find that this site will not charge you money when a transaction is made. When you decide to use eBay, you’ll have complete responsibility for the quality of the service. If a supplier doesn’t send a package on time, for example, you’re held responsible. Because of this, you need to choose the right suppliers. Your entire business relies on the clients you have. When you have loyal clients, you can trust that your dropshipping store will become successful. Still, you have to find these loyal clients. The first thing you should do is turn toward your close friends and relatives. If they order your products and like what they receive, you can ask them directly to leave you reviews. You should also look into your different marketing options to determine how you can reach a large number of people. 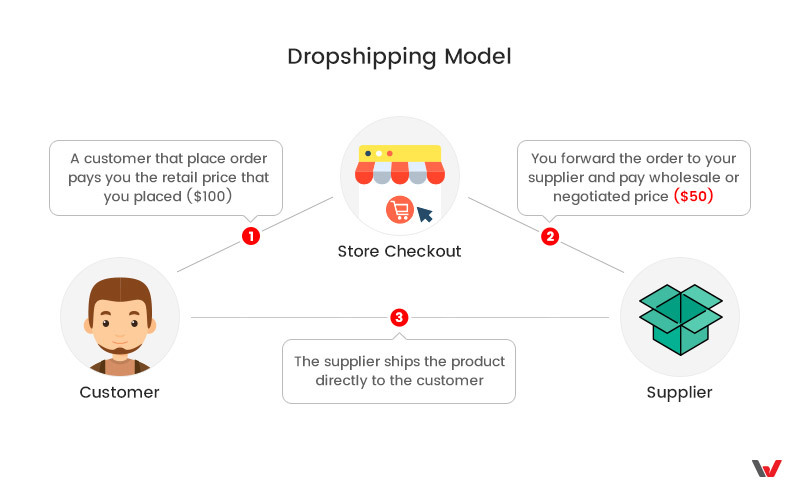 Dropshipping works efficiently because the dropshipping company does not need to have any inventory; instead, the dropshipper will receive an order from a customer and will send this order to the supplying company. This company will then send the order to the client or customer. In doing so, dropshippers can save themselves a significant amount of time and can focus more on customer service. 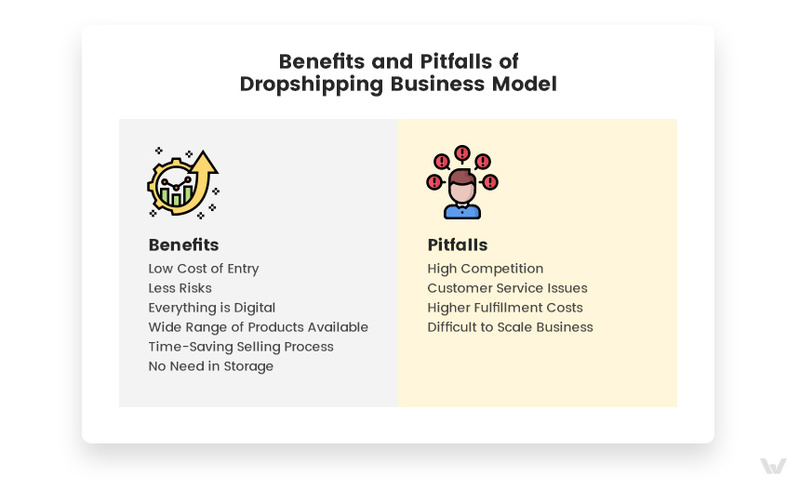 Dropshipping itself is rather straightforward; however, there are a few things you can do to increase your chances and successfully running a dropshipping business. If you want to succeed in this business, you need to consider social media. That’s because platforms like Twitter, Instagram, Facebook, can provide you with an unlimited number of options. You can create different accounts to improve your SEO. You can also decide to buy ads that will show up on the profiles of potential customers. Creating your dropshipping site is easy because you don’t need much to complete it. All you truly need is to have a domain name. You can use platforms like WordPress, Shopify, or Magento to create your online store. You can use extensions to personalize this store and to ensure that your customers know what they can expect when they order from you. We want to share some practical steps that we’ve collected from the most successful entrepreneurs, and you can use them after you start your dropshipping business. Try to check the supplier with your own order. Buy some product and ship to you and your friend’s address, and check the delivery time, package and all the discussed conditions. Use only the effective advertisement on the Internet, but from the beginning use the free options. With the verified advertisement methods, you can test your business model faster and more effectively. Spend little by little. Don’t use big budget and analyze your actions, and you will come up with revenue. Try to focus on the products that you interested in, because you may sell them with more probability. Analyze the level of competition, because some product line has it at a high level and for the newcomer, it might be harder to carve out a niche. Besides the dropshipping, you can try to earn money with an affiliate program. Overall, you’ll have to focus on your customer service and marketing if you want to succeed. Dropshipping allows entrepreneurs to bring in some extra revenue and to gain experience in the business world. Not only this, but successful dropshipping business owners can build connections and increase leads. Once you have an understanding of what dropshipping is, it’s much easier to excel in this field. If you have something in mind related to your business ideas or if you want to build a site, you can check our services. 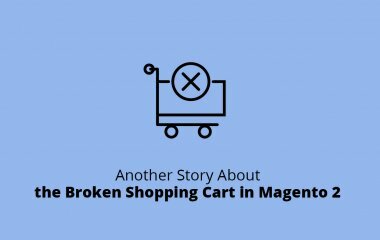 Read one more case on how to deal with broken cart in Magento 2.